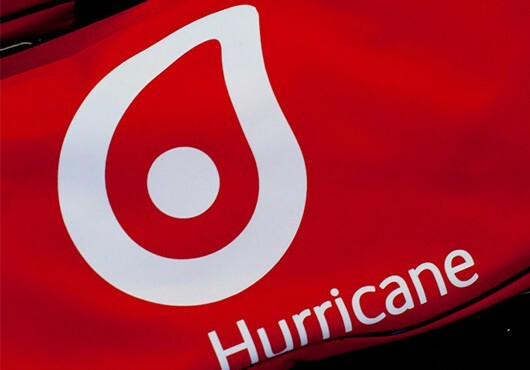 Hurricane Energy plc, the UK based oil and gas company focused on hydrocarbon resources in naturally fractured basement reservoirs, announces that it received notification on 25 January 2019. 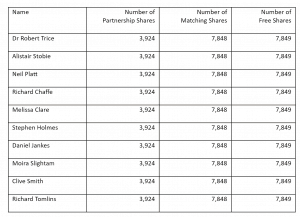 Following payroll contributions made on 25 January 2019, Global Shares Trustee Company Limited (“SIP Trustee”), trustee of the Hurricane Energy plc Share Incentive Plan (“SIP”), awarded 815,582 ordinary shares of £0.001 each in the Company (“Ordinary Shares”) to participants in the SIP at a price of 45.86 pence per share, being the closing mid-market price on 24 January 2019. The SIP award has been satisfied by the issue of 815,582 new Ordinary Shares to the SIP Trustee at a subscription price of £0.001 per share, being the nominal value of the shares. Each participating employee will receive an allocation of Partnership Shares (being shares acquired at market value using contributions deducted from employees’ pre-tax salaries; “Partnership Shares”), Matching Shares (being ordinary shares of twice the number of Partnership Shares acquired by an employee which are paid for by the Company; “Matching Shares”) and Free Shares (being ordinary shares to a value not exceeding £3,600 in the current tax year, which are paid for by the Company; “Free Shares”). Application has been made for 815,582 new Ordinary Shares to be admitted to trading on AIM. Admission is expected to take place by 31 January 2019. The shares will rank pari passu with the existing Ordinary Shares. Following the SIP awards, Hurricane’s total issued and voting share capital will comprise 1,960,367,219 Ordinary Shares. This figure may be used by shareholders as the denominator for the calculations by which they will determine if they are required to notify their interest in, or a change to their interest in, securities of the Company.